The Community Rejuvenation Project — in solidarity with artists from the Malonga Casquelourd Center for the Arts, the Chinatown Coalition, local residents and businesses — has launched a petition to Maria Poncel of Bay Development to demand community benefits from the development of the parking lot at 250 14th Street. In addition, the community has started a GoFundMe campaign to raise the funds to appeal the Oakland Planning Commission’s unanimous approval of the development. A protest will be held on Friday, February 12, beginning at 11:30 AM at the parking lot at 14th and Alice and marching to city hall to file the appeal. 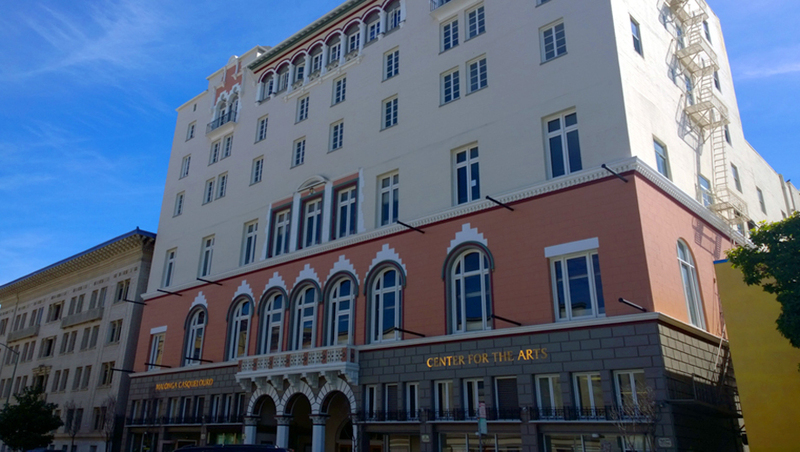 The City Council must hold this development accountable and reverse the detrimental impacts it will have to a City of Oakland cultural institution, the Malonga Casquelourd Center for the Arts. It should also protect the City’s investment in the mural, a visible symbol of downtown’s renaissance, which received $40,000 in public art funds. After passing a Housing Equity Roadmap, the City must commit to all strategies that increase the supply of affordable housing during this housing crisis, including exchanging building height increase and parking reduction for meaningful community benefits. The City Council should also enforce the Lake Merritt Specific Area Plan, which calls for 15-28% affordable housing units in all new developments. We need to raise $1,500 to cover filing fees in order to appeal the Oakland Planning Commission’s approval of the development on a 16 story condo at 250 14th St (at Alice). We have until February 12 to file an appeal of this decision to the Oakland City Council. The development would take away parking from local businesses, residents, staff and attendees of the City’s Malonga Casquelourd Arts Center and local businesses; cover up a beautiful new $80,000 community mural; and fail to provide affordable housing or significant family units for existing residents. The addition of 126 units of market-rate luxury condos will also accelerate the rising rents in the neighborhood — which have risen as much as 300% in the past two years — threatening to displace low-income residents, especially the diverse senior and immigrant populations. 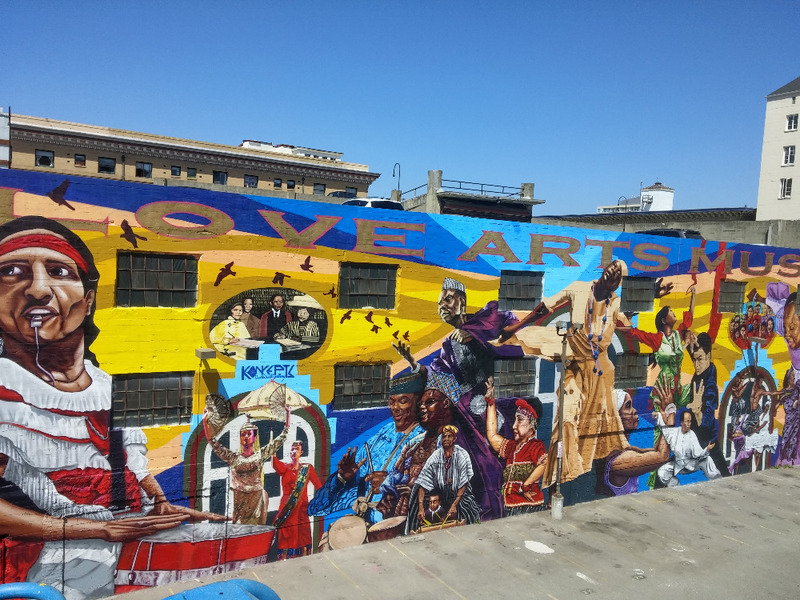 Although Poncel is on the public record as committing to help fund a relocated mural, she has yet to enter into an MOU with CRP; according to the City Attorney, Oakland’s percent for art ordinance cannot be used to fund a specific offsite project. 1) Finance or fundraise 100% of replacement mural costs. 2) Dedicate a floor of the parking garage to Malonga Arts Center staff and patrons, to support the continued flourishing of its many dance and music classes offered to the community, as the heart of the newly-designated Black Arts Movement and Business District. 3) Make at least 15% of the units affordable to families earning less than $64,000. That means setting rent at $1,600 or below for only 18 of the 126 units. Increase the number of 3-bedroom family units from 2 to 15 so that families can stay in Oakland. Not creating housing for families hurts our Oakland schools. Bay Development, and all developers building in Oakland, should be working with neighborhoods to meet the community’s needs and requests if they want to continue developing in Oakland and benefiting from our public and cultural resources. Establishing a cultural equity framework through tangible community benefits is the best way to offset the negative impacts of gentrification and ensure Oakland’s fabled diversity and cultural history doesn’t become a casualty of the current development boom. Donate Here! Sign the Petition Here!